Penguins never looked so cute on a little boy. 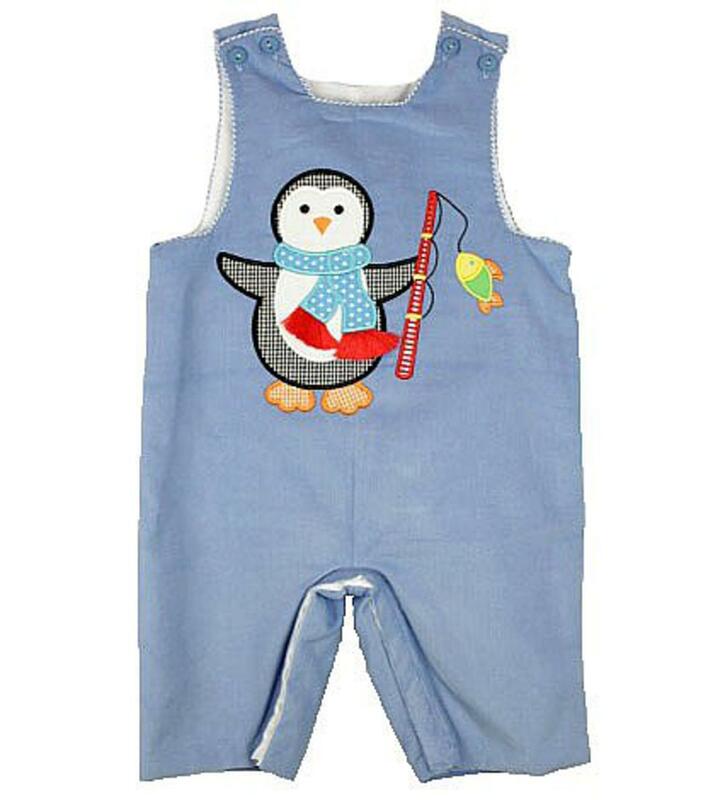 This periwinkle blue corduroy jon jon has a beautiful penguin applique fishing on the chest. There is blue and white checkered trim on the neckline and armholes. There is two buttons on each shoulder to get on/off easily and snaps along the inside of the legs to accomodate diaper changes. This super soft outfit would pair perfectly with a white turtleneck underneath and is 100% cotton.